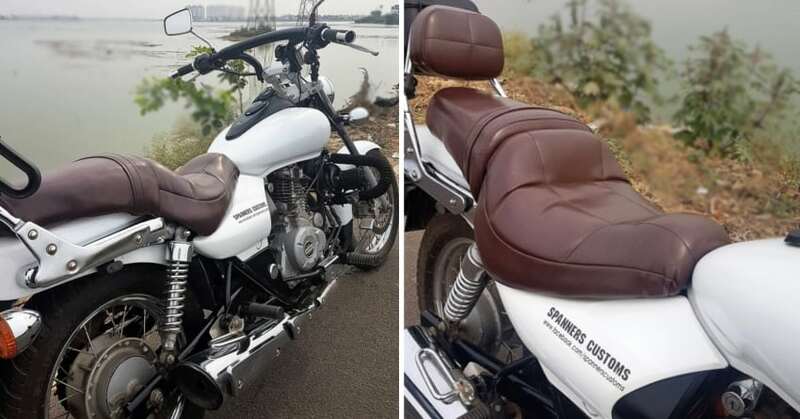 Spanners Customs from Chennai know what it takes to go on an extremely long ride, inspiring them to create this luxury wrapped touring seat for a cruiser friendly Bajaj Avenger. 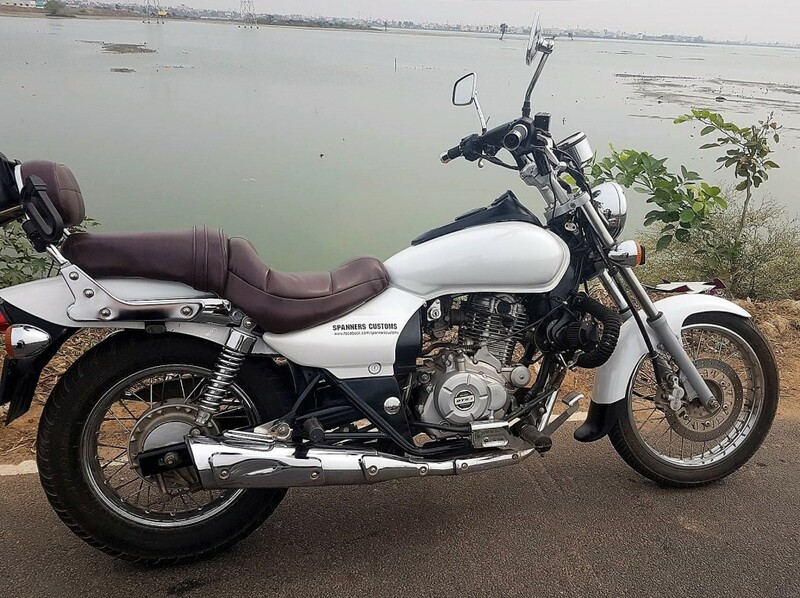 Although the stock seat on the Avenger is also very supportive, most other bikes do not have that much of comfort on their rider as well as pillion saddle. This seat could help you munch more miles without short brakes and even let your back relax while you race up to your destination. 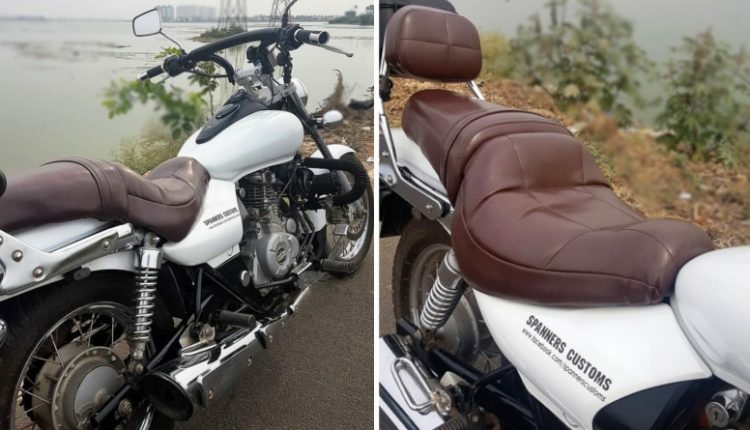 Those who have been on long riding sessions know that standard seats are the only reason that you get a sore back at the end of the day. 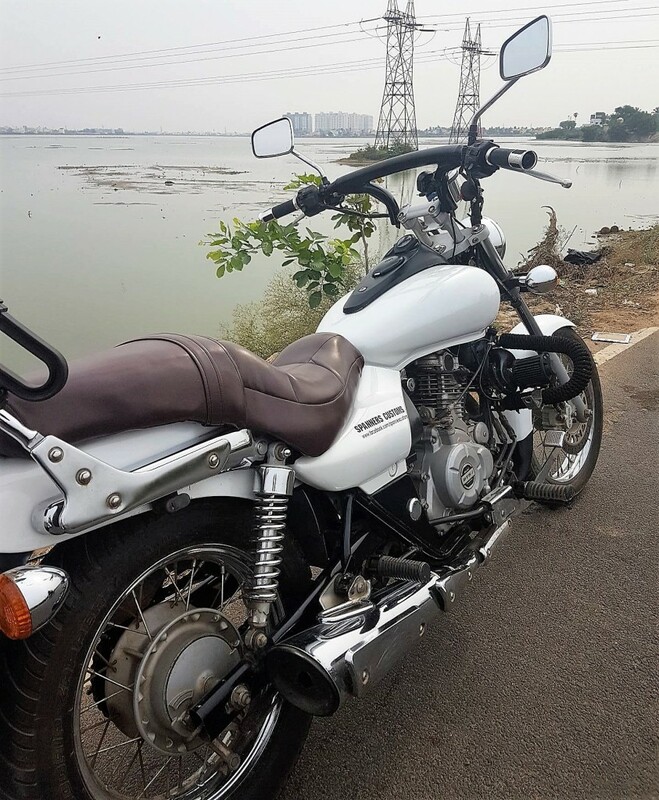 They are good for short rides but their vibration passing nature adds more fatigue to the rider. 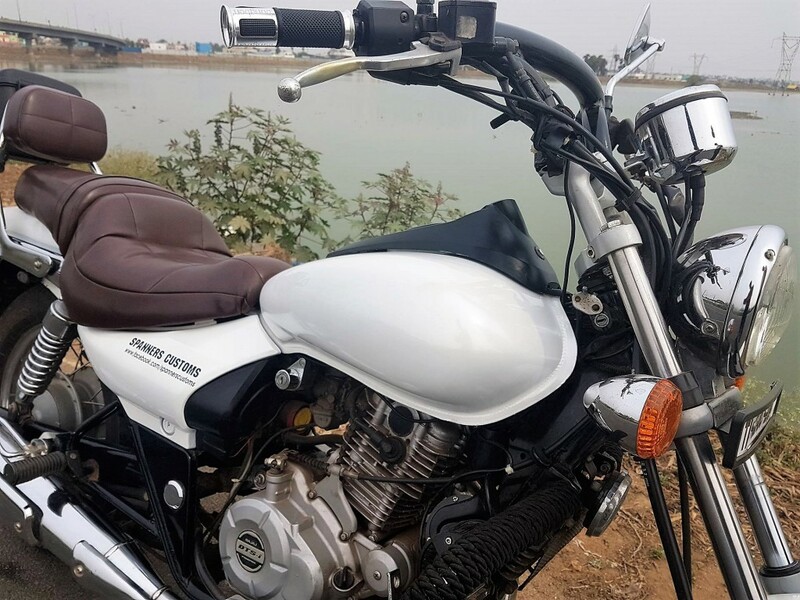 Most pillion seats are not even made up to the required thickness that could help the pillion stay at ease. The extra cushioned back rest on this Avenger could even help you get over some sudden jerks on the road. 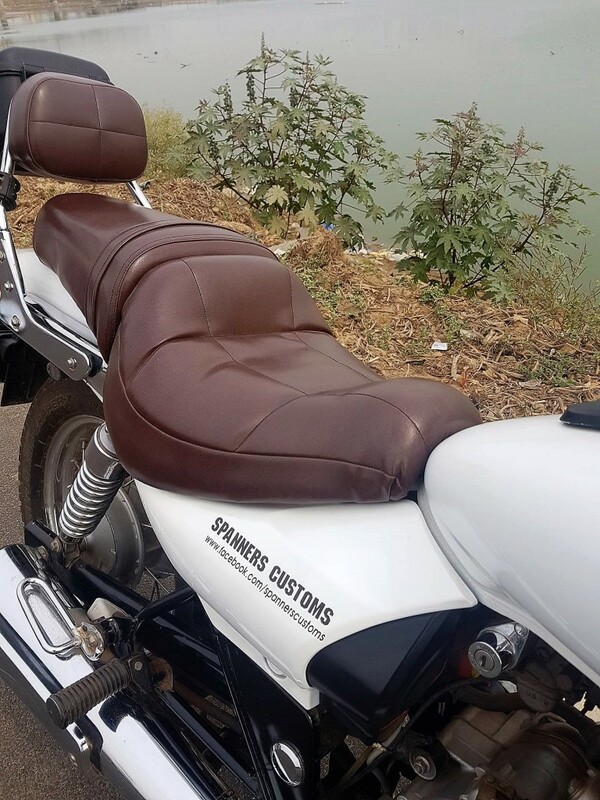 These touring seats are priced from INR 2400 (approximate) and can be custom made according to the need of the rider. 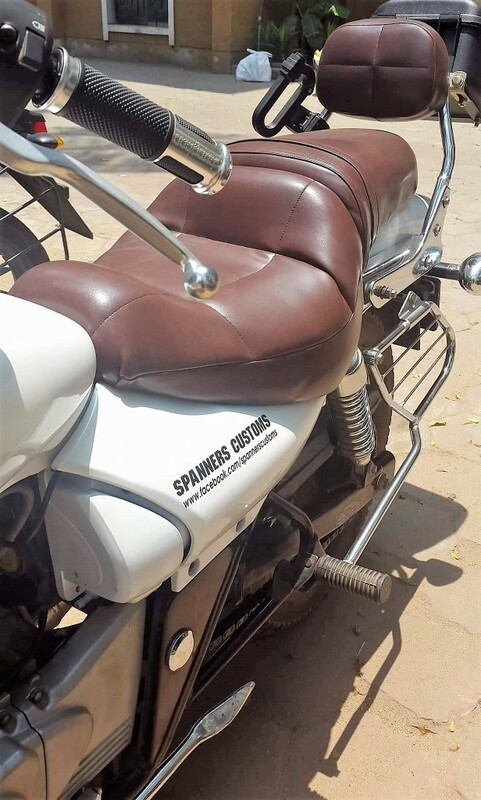 The shade of the seat can even be custom selected while you can contact Spanners Customs for more details on the models that are covered under their touring seats.